In this advanced era of technology, online classified advertisement has become popular a lot. When you come to use any classified advertiser, you’ll be comfortable a lot. Whether you are searching mobile phones for sale in OLX India or using Craigslist USA for your old furniture or exploring eBay in order to sale your used computer or there’s any other classified ad provider in your life, you will notice that it is really cheap and easy solution even many of them are free. They act like a multi-purpose agent. Many of them offer sections devoted to different services, from education and jobs as well as the buying and selling of all type of used products. It is all about the coverage of your requirements. If you go in history, the newspaper was a very fertile place for classified ads as any product you planted there could grow in terms of attention from people. But with the passage of time web communities changed the trend and discovered more easy solutions. It is now clear fact that making classified ads suitable for the web can also make them unsuited for the printed newspapers. When you come to use any ad in the newspaper, you will get bounded with some limitations. They feature classifieds and news in the same place. Of course they are beneficial but not for everyone. Newspapers are not fully helpful for everyone, especially because of very limited space. But when you browse a specific online classified ad serving community, you can get your required results within a few minutes. And this is the reasons dozens of companies are now offering free classified ad services on the web. Online classified advertiser follows your requirements quickly and shows what you are looking for in numerous forms. They tend to support increasing return and of course many of you would like to use a very large site first as it will most relevant things advertised for them to buy. Sellers will love the site by the virtue of huge traffic of buyers on the site. So which is largest yet? There are so many websites but many of them are limited to just a few regions and here I would like to share OLX. OLX is a free online web community for classifieds. As far as, OLX is covering over 96 countries in 40 languages, including India, US, and more. OLX enables you to enjoy a wide range of services including education, jobs, buying & selling, trading, discussing, meeting people near your home and more. You can post beautiful and colorful ads with pictures and videos. Even you can get your ads displayed on social networks including Facebook and Myspace. 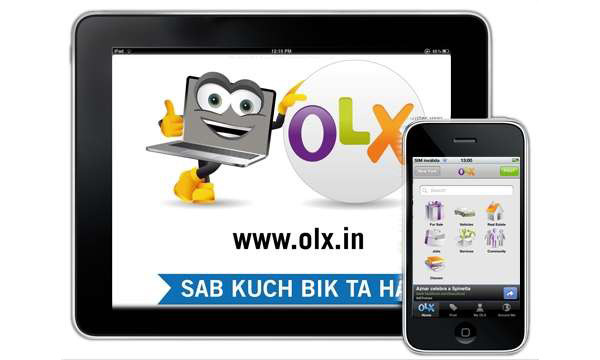 OLX can be accessed from computer, tablet and a mobile phone as well. No matter what kind of job you want to offer and get, graphic designer, content writer, web designers, a worker in your office or any other, OLX can be suitable for your requirements. I am very confident OLX will meet most of your requirements quickly and it is worthy to give a try.